At Calista Beauty we specialise in qualities and results. Whether you want to achieve a younger-looking face, celebrity stylted nails or remove unwanted hair, we have a treatment to suit you. For that extra special night out, or a special occassion, the all important eyes! 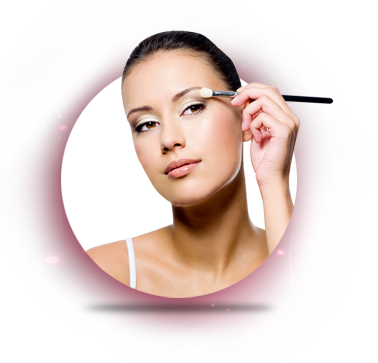 Calista has totally new definition in eyebrow shaping, eyebrow tinting, eyelashes extensions. From a shape and wax to an eyelash perm, we cater for all eye treatments. Our beauty therapists are highly trained and friendly. 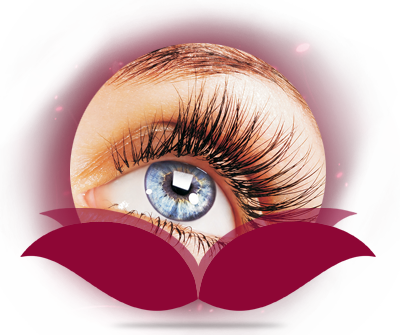 A patch test is required 24 hours before any tinting or eyelash extention procedure. "If eyes are the windows of the soul then eyebrows must be the frame"
Calista'S aims to give you an eyebrow experience like no other. Our brow experts will analyse your brows, advise you on the perfect shape, and leave you feeling simply great about your eyebrows. There are many including most importantly – Fast & less painful then plucking and waxing Ideal for sensitive skin,for greater precision and cleaner finish, No chemicals, No reaction, Result are long lasting and immaculately shaped Eyebrows, Lift the complete hair from the follicle. Your eyes are gorgeous, and your lashes too. But imagine what professional eyelash tinting and eyebrow tinting will do for the depth and colour of your eyes and the definition of your face. Individual Eyelashes will last up to 1 or 2 weeks. Wearing lash extensions can be a very rewarding experience that helps you boost your appearance and improve your ocular health. An eyelash extension is bonded to your natural lash to help make it longer and add volume to your lashes over all. Because they are also curled slightly, they reach upward, helping your eyes look more open and dramatically framing them. They can help improve the health of your eyes by eliminating the use of mascara. An eyelash perm is a semi-permanent method of curling eyelashes. 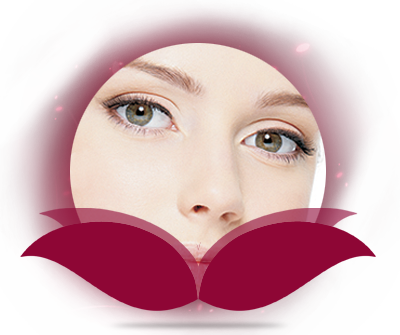 The result lasts a month and with natural-looking curls on your eyelashes, your eyes become prominent and highlighted. This a more natural way of making the eyelashes more visible and plumper. Let’s Go Lashes are Celebrity lashes in a blink. An amazing 'Lash in a Flash' eye lash treatment, which takes just 20 minutes (Time is depend on the look you want) to apply a set of lashes, that will last for up to two weeks. Nouveau Lashes are state of the art semi-permanent lash extensions that give longer, thicker, very natural looking lashes. - Just like natural lashes and are applied individually for a striking and defined result. - These lashes are extremely comfortable and do not cause the natural lashes to fall out prematurely. - Taking between 1 to 2 hours. 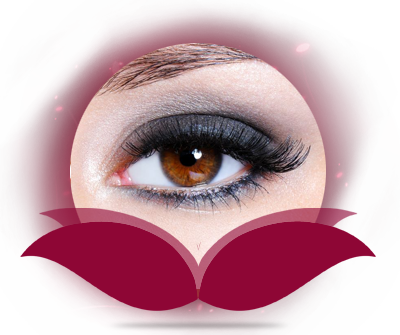 - Exciting, innovative and alluring - loved by celebrities and perfect for giving your eyes the wow factor. Celebrity brow beauty is now within your reach , thanks to a unique seven-step brow-shaping treatment, you can have the ultimate in well-groomed, high definition eyebrows. From Bollywood to Hollywood, celebrities understand how important a brow shape is to your face… and that’s why they’re turning to HD Brows. You will also receive a relaxing face, neck and shoulder massage with every facial treatment carried out at the salon(except Mini Facial & Deep Cleansing). Having a regular facial is a great way to relax with many clients finding, these treatments to be extremely stress relieving. Deep cleansing facial treatments stimulate circulation beneath the pores, remove dull cells at skin's surface, and fight free radicals that prematurely age skin. Performed regularly, this treatments impart a refreshed appearance that makes skin look and feel revitalized. Calista skin whitening facial eliminate clogged pores, blackheads, and other impurities that dull skin's texture. The result is clear, blemish-free skin. This treatment includes several steps to achieve results that last up to three weeks. Creams, masks, peels, steam, exfoliation, and extraction work together to purify skin at the cellular level. This collagen facial is ideal for improving the elasticity of the tissue, diminishing the appearance of the fine line and wrinkle. Give your hydration at the highest level. Very Soothing and Calming for weather beaten skin. Also perfect just to freshen up your skin. Pure massage techniques garnered from years of experience are used to provide the ultimate relaxation. This wonderful calming treatment comforts stressed-out skin and will leave your complexion re-balanced, smooth, cooled and restored. 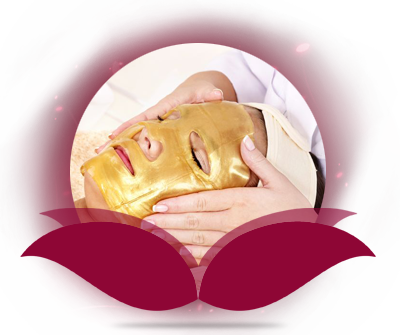 This facial contains 24-Carat pure gold, which penetrates in to the skin easily. Gold has a powerful effect on lymphatic drainage, facilitating the removal of toxins and wastes. Help to restore softness, smoothness, elasticity and radiance. Add Extra boost to your Facial by adding one of our powerful, Mineral, Repairing Masque. option available for all type of skin concerns. From Skin Tightening, Skin Whitening, Collagen, Skin Refining to skin Rebalancing and repairing. Is your skin sensitive? Do you have dry or oily skin? Are you dealing with a skin condition, or just getting older? Try Calista's skin care treatments to help rejuvenate your skin outer layer. 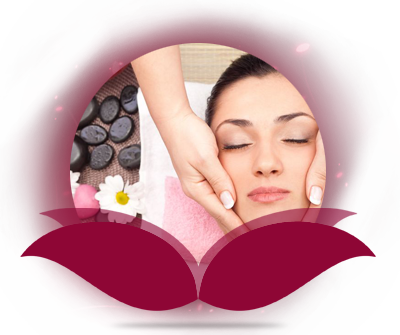 Calista offers range of skin treatments such as Dermalogica treatments, Oxygen therapy, Diamond peel, Microdermabrasion etc. If you're craving brighter, smoother, softer skin, then Calista's skin care might be just what you're looking for. 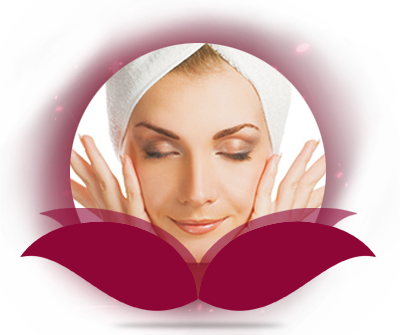 This treatment is truly revolutionary because it customized at every step according to your skin needs and skin type. A zone by zone treatment to give more attention to your skin concerns. 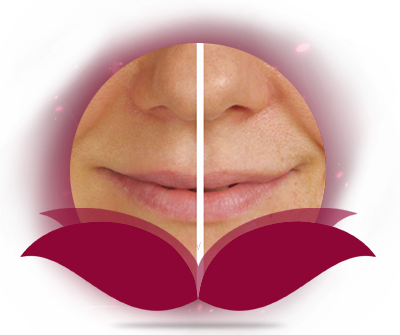 We will determine your skin type at the start of your treatment by doing face mapping. Dermalogica Facial skin treatments at Calista are fully inclusive to deliver your skin’s best health, and involve a combination of a professional double cleanse, exfoliation, extractions (as needed), masque, toner and skin protection. Most powerful Multivitamin power treatment for premature aging and dry, Sun damaged skin, Give a revitalizing power boost with this treatment designed to nourish & energies the skin! Potent vitamins & hydroxy-acid exfoliation resurfaces & retexturises the skin, while energising massage techniques release tension in the facial muscles for the ultimate in skin therapy. Firmer, smoother revived skin you'll love is yours with this amazing treatment. Dermalogica's skin care and body products are designed for men and women. As therapists we know how important it is to take care of your skin and during your facial we will teach you the importance of doing so. 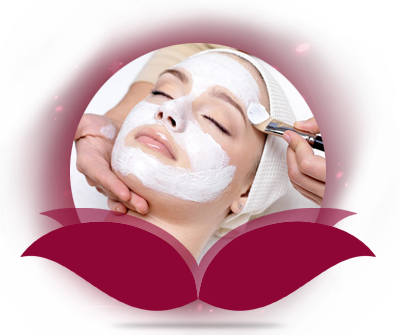 Your facial will start with a deep cleanse followed by an exfoliation, extraction and masque. A customised treatment regime designed to help shaving bumps and irritation. This innovative system rejuvenates skin by replenishing oxygen that lost over the time .Oxygen therapy plumps and strengthens skin for younger and smoother look. You can feel younger and visibly clearer, brighter skin. This relaxing service can be tailored to meet a range of needs such as anti-aging, skin clearing, calming and perfecting treatments and particularly effective on common complain such as eczema and acne. The treatment delivers instant and remarkable results even after just one session. 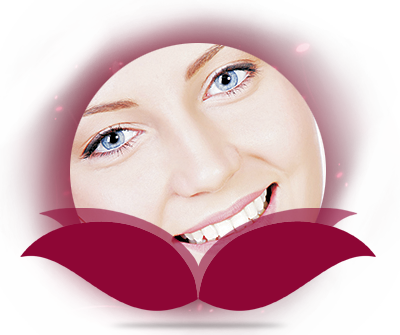 You can combine Oxygen Therapy and Diamond peel together to achieve a great result. A course of treatments is recommended for maximum result. This gentle treatment removes dead skin cells effectively with stainless steel diamond heads. The heads are made with miniature diamond grain of different grits for different areas of skin and different skin types. 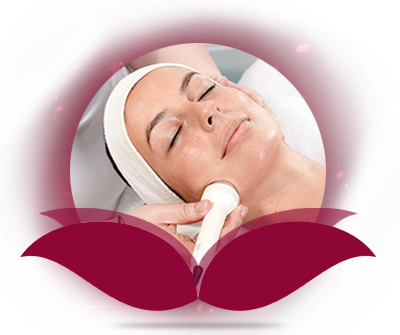 There is vacuum suction also used to promote cellular renewal and for the stimulation of collagen and elastin fibres. Your skin will look radiant and smooth, the latest method of skin resurfacing. Each individual case will vary but with continued treatments you will notice significant changes with your skin looking and feeling firmer, smoother, softer and more radiantly youthful. Oxygen Treatment s is perfect partner for the skin resurfacing treatments. After peeling your skin with Diamond Head it is easy for oxygen to go deeper and penetrate deep into the epidermal layers. 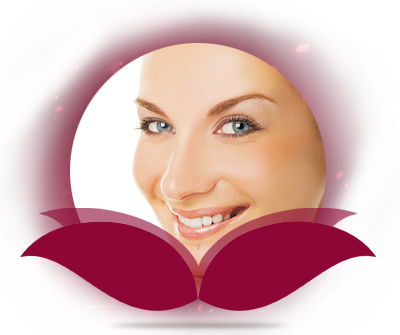 It is an ideal therapy to combine dermabrasion and oxygen treatment. 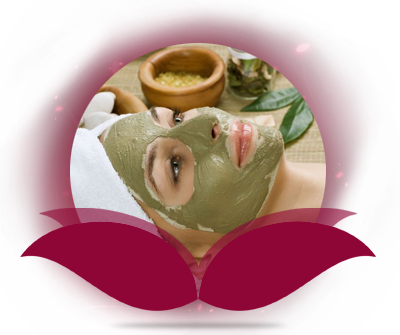 It improves cell nourishment, oxygenation and detoxification to all layers of the skin. Alternative to invasive procedure. Calista offers two different types of wax treatments to our clients, hot wax and strip wax. The type you choose will depend on your preference, the area you are having waxed and how it suits your skin. Our therapists will be happy to discuss the options available to help you choose the most suitable for you. Wax on, wax off. More effective than shaving, waxing is one of the most popular hair removal treatments, targeting areas such as the legs, underarms and bikini line. Not for the overly sensitive, a waxing session may make you wince – but trust us, that super smooth skin will be worth it. This is the most popular method of waxing. It consists of resin, paraffin wax, glucose syrup and honey. Warm wax is smoothed onto the skin in a thin layer and immediately covered with a fabric or paper strip which is pressed/rubbed onto the waxed area before being removed in a quick swipe. Strip waxing is quicker than hot wax and larger areas can be waxed at one go. Some people find the area slightly red and there may be blood spots occasionally, or a stinging sensation. These are all normal reactions and will subside in a few hours. Often, the therapist will use tea tree lotion to sooth the area afterwards and/or apply a cold compress to ease redness if necessary. Calista believes it's not Just a Waxing! it's a Treatment….A painless Treatment… And you deserve it..
Calista uses the premium Lycon Wax is sourced from Australia and designed to promote skin hydration and care for skin with various essential oil based ingredients. Our wax prevents hair breakages, Ingrown hairs, Redness and the associated painful sting. Amazingly, our hot wax will remove short, stubborn hair as short as 1mm, leaving your skin soft and smooth with no sticky residue. When we use our Hot Wax on sensitive areas, we first apply an essential oil to the skin which acts as a barrier between the wax and skin. Therefore, the wax is able to shrink wrap around the hair and will not stick to skin(less tugging results in less pain!) Our Therapists are also trained in Calista’s highly skilled technique to minimise discomfort. This method is far less painful and pulls hair directly from the roots. Lycon wax is highly recommended for sensitive areas. Take a little break from your busy schedule to take care of your hands and feet don't forget they are the important part of our body and of course of the fashion as well. Whether it is for the office, a special occasion or going out on a Saturday night, Calista's team of qualified manicurists are on hand to provide you with a manicure to make your nails look fabulous.Calista specialises in the award winning CND Shellac range, which is chip resistant and lasts for up to 14 days and the international famous OPI nail polish range. A look is unfinished without a manicure and pedicure. Includes everything as above but bit more luxury to have a Paraffin wax/Mud mask. As it soothes aches, pain, tired muscles, Aids water retention and leave skin feeling soft, smooth and nourished. The best treatment for dry skin. Our pedicure includes filing, buffing, socking your feet, cuticle removing, rejuvenating foot scrub, relaxing massage, scrapping and smoothing the sole of your feet and polish ( French polish at extra £5 ). And also while we working on your feet our relaxing SPA Chair will give you a soothing Back Massage. Include everything as above than a Paraffin Wax/Mud mask. As it soothes aches, pain, tired muscles, Aids water retention and leave skin feeling soft, smooth and nourished. The best treatment for dry, dehydrate skin and great treatment for arthritic. Do you suffer with hard cracked skin on your heels or calluses on the balls of your feet? Callus peel is the answer! A non-invasive painless treatment which can be added to any pedicure or as a standalone treatment will get rid of your feet from these problems in just 30 minutes! Callus peel softens hard calluses quickly - Leaves clean and soft skin. So don't just dream about pretty feet, simply Callus Peel away the hard skin and calluses. Please Note: Callus Peel treatments are not suitable for clients that are pregnant, diabetes or Psoriasis. UK's first ever Hybrid Nail Colour! A Great mixture of Gel and Polish which Paints on like a normal Nail Varnish but is cured under a UV light like a gel so there is zero dry time. 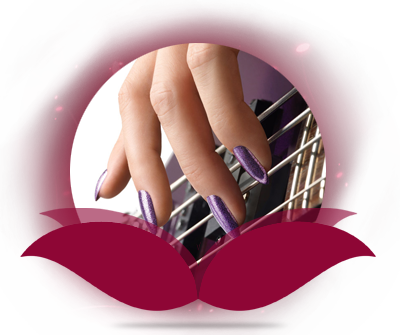 Wears flawlessly of high gloss shine, and is removed in minutes without any damage to the nail. Great for thin nails as it feels stronger because of the gel in the polish. If you are looking for a deeply relaxing massage to melt your stresses away,Calista beauty is the only place to be. We having a great rang of massages which can help you with aches and pain or relaxation and stimulation. 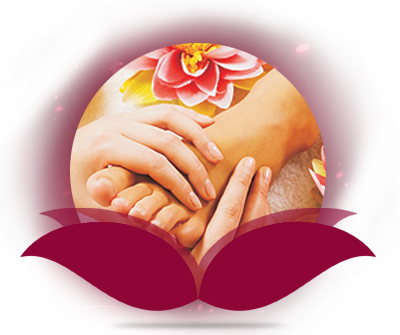 Therapists at Calista beauty are very professional, friendly who care for your quality time during massage. So, get ready now for relaxation. Calista is based on the belief that our customers' needs are of the utmost importance. Calista's entire team is committed to meeting those needs. This popular massage has a relaxing and restoring effect on the body & mind stronger, longer, rhythmic strokes are used to promote health and well-being through out the body. During Swedish massage, the therapist lubricates the skin with massage oil and performs various massage strokes. These movements warm up the muscle tissue, releasing tension and gradually breaking up muscle "knots" or adhered tissues, called adhesions. Swedish massage promotes relaxation, among other health benefits. This powerfully healing massage begins with a short consultation from one of Calista Beauty's therapists. After assessing your needs, a unique blend of essential oils will be made especially for you to relax, sooth, recharge, de-stress or restore. This therapeutic full body massage with aroma therapy is designed to ease tension, relive stress and leave your body feeling pampered. Signature blends of essential oils are selected according to your needs, and ensure you feel relax, smooth, recharge and de-stress. A massage with a hot stones tends to be more deeper massage, a techniques specifically aimed to relax the muscles as the main purpose is to increase oxygen flow to the muscles and aid the body to remove the build up toxins. 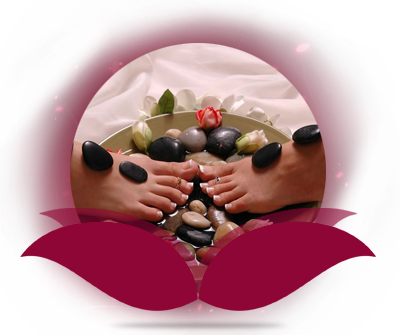 A deeper method of massage which utilises the therapeutic benefits of warm and smooth, weighted stones. The stones are used dualistically throughout the treatment. The stones work to deliver warmth and relax the muscles by increasing blood flow to the area being worked on. A perfect treatment for overworked muscles- this means their natural healing process will be accelerated. The overall increase in circulation and deep release of the muscles will leave the entire body feeling lighter and more energised. Very relaxing deep cleansing treatment which includes scrub, steam, Massage, blackhead removal and a calming mask.. Very good for marks or spots. Indian Head Massage is based on the Ayurvedic system of healing. A deep massage releasing the stress that has accumulated in the tissues, muscles and joints of the neck and shoulders. Relax whilst expert hands work to alleviate and revive. It is the time to give your legs/Arms the attention they deserve! We will work around the tight and tense muscles to relieve the aches and pain. It will feel more relax and soothing and they are ready to take on the day! Buy a package of 5 Body Therapy treatment get 6th one for free. Our body treatment serves two equal purposes - to deliver skin health & feel incredible Through Body Mapping the zone by zone analysis of your skin our treatments are customised to meet individual needs. We use products to treat breakouts, fluid retention, toxic accumulation, dry skin & stress. Upon completion you'll feel invigorated, relaxed & recharged - all at the same time. Whole back is thoroughly cleansed and exfoliated, followed by steam which opens the pores, and then we remove all the dirt and blackheads. After a cooling mask is applied and whole back is massage with warm cream which makes your back soft and hydrated. Ideal for the client who suffers from skin congestion on the back. Ideal for those of you suffering with the signs of premature ageing, dry or sensitive skin types. This is an intensive wrap therapy dedicated to feeding your skin with the nourishment it needs and craves. Wasabi, ginger and white tea stimulate the blood circulation 10 promote healthier skin whilst olive and grape seed oil smooth and provide antioxidant protection. Be indulged in this intensive wrap and enjoy a mesmerising scalp massage to help complete a feeling of wellbeing. This treatment is real treat you can give it to yourself. The treatment Includes full body Mineral salt scrub therapy, power recovery body wrap and thermal stamp body massage and all this customised to yours and your skin needs. You feel fully pampered and relaxed and revive. © Copyright 2009-2010 www.calista-beauty.com, All Rights Reserved.